Senior Living Coming To Collierville, TN! We’re very excited to bring StoryPoint to Tennessee! 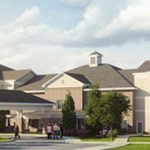 StoryPoint Senior Living is preparing to bring exceptional independent and enhanced living senior options to Collierville, Tennessee and the surrounding areas. With a variety of amenities to fit any lifestyle, come see what a difference 37 years of experience makes. We welcome residents and their guests to stop by during breakfast hours for a warm cup of coffee, a refreshing latte or to enjoy our baby grand piano. With multiple menu options prepared by our Chef, there’s always an open seat at the Prime Thyme dining room! There’s nothing better than a home cooked meal, except maybe the joy that comes from sharing it. At StoryPoint Collierville, we’ll employ our very own Chef to create dynamic, ever-changing options and dining experiences unlike any other. At StoryPoint, one size does not fit all. We take the time to get to know our residents to design activities catered to their specific interests. Have a favorite hobby or craft? We’d love to hear it and create an event for all our residents to enjoy. Soon, StoryPoint Collierville will be a bustling community full of life. Contact one of our Community Specialists to learn more about one of our newest communities.